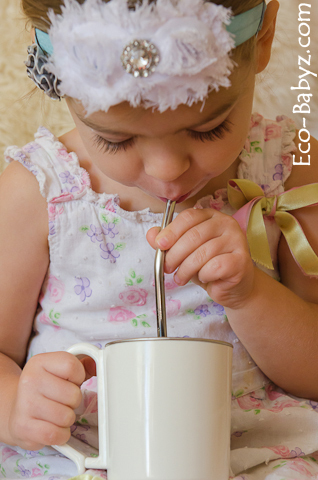 Baby E loves to drink water out of straws. I think every toddler and preschooler does, especially the blowing bubbles part! 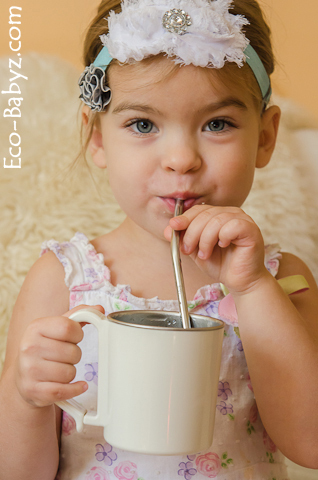 The stainless steel straws we received for review from NoPlastic.ca are perfect for kids. 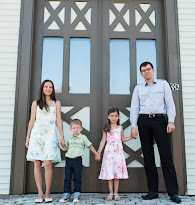 You can't break them and they will last and last. Cleaning is super easy with a stainless straw cleaning brush ($1.49). I love that they are non-toxic, don't leach any chemicals, and made from food-grade stainless steel. The stainless steel ice pack is absolutely genius! Not only is it tiny and perfect for the diaper bag or lunch bag, but it stays frozen for a long, long time. 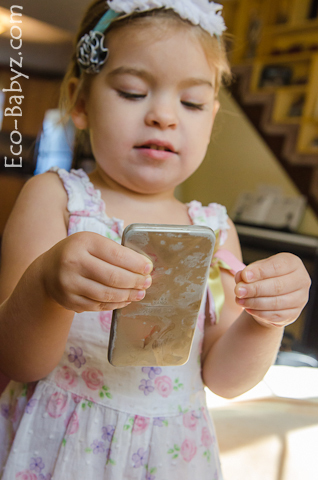 It looks like a silver bar as you can see in the image below, you can see the frost on it as Baby E tries to see how long she can hold it. Just be sure not to lick it! I always keep it in the freezer for those times I need a compact ice pack to place somewhere. It is filled with distilled water in case you're wondering. If you pack your child's lunch to school, it's the perfect solution to keeping it fresh. Especially suitable for salads, cut fruit and veggies, or yogurt. It's great for picnics as well and I imagine we will use it a lot in the summer. Indispensable for bumps and bruises - a daily occurrence with kids! Ever wish you could cool down your piping hot tea or coffee in an instant? Just drop this in and you're all set! Both of these items are a great value. The small straws such as the ones Baby E is using are sold as a set of four for $9.49 (longer ones are the same price) and the large extra wide straws for smoothies are $3.49 each. It's a great deal considering you'll never have to buy a box of straws again. The stainless steel ice pack is $12.99 and infinitely reusable. I highly recommend these to anyone looking to reduce their reliance on disposable products! Warning: Do not leave a child unsupervised with the stainless steel straws. They can fall or trip and injure the inside of their mouth very seriously. Use only with older children under adult supervision and when well-seated. You're right, that can be dangerous! But so can spoons and forks and so many other things. I don't give it to my 11 month old, it's only for the almost 4 year old and only with my supervision, and only sitting at the dinner table. I should totally update the review with this warning lest some parents may think it's fine to leave a small child with one of these! :) Thanks for your comment!